Finished the first kit of 2019, an Italeri H-21. 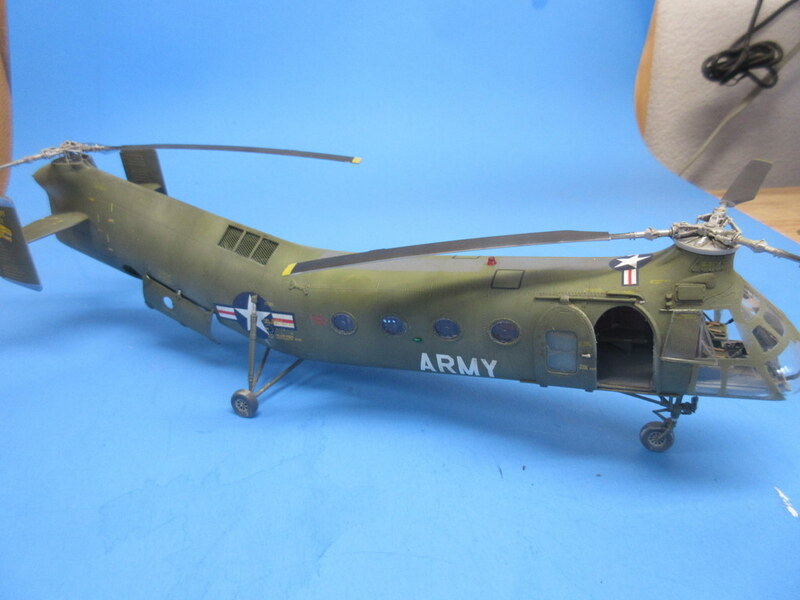 I’m glad this came out in 1/48 scale as it, with the H-13, were helicopters of my youth. At the start of the year, I had some lofty goal to build two per month. What was I thinking?! Going to have to play catch-up now! 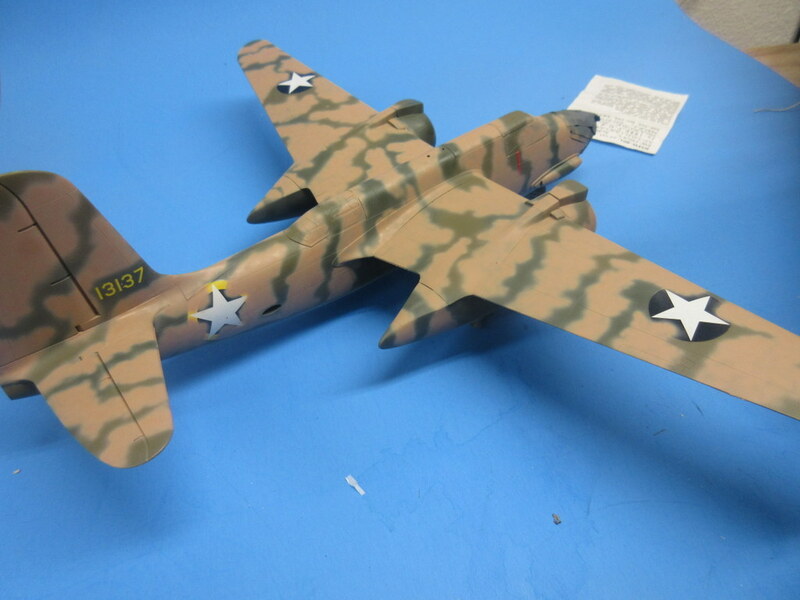 The kit overall will take some work to turn it into an AMS masterpiece. 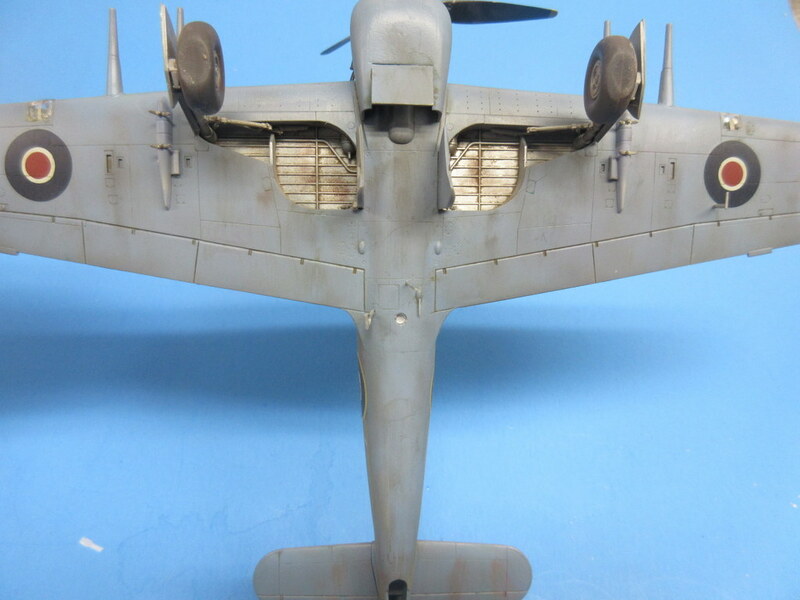 There were a number of fit problems all around; the canopy to the fuselage, the cockpit in the fuselage, and the engine and bulkheads. 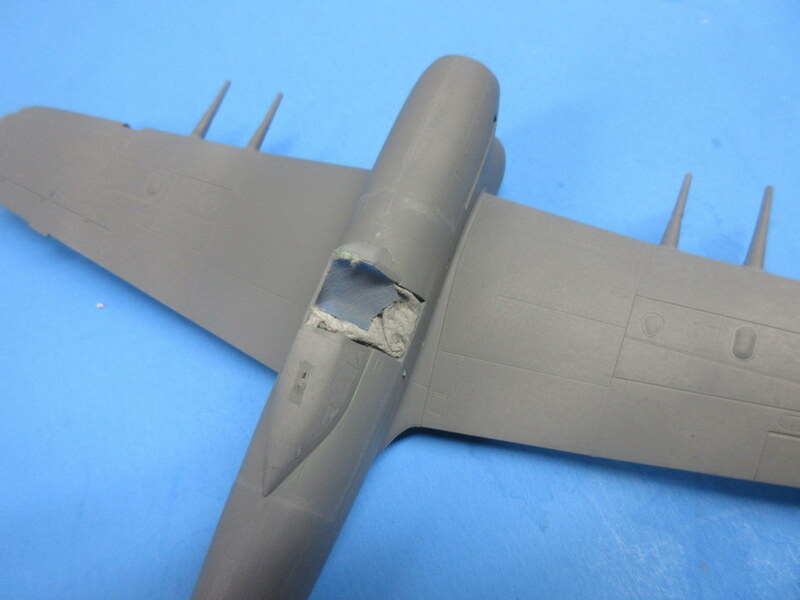 Other than sanding the fuselage seams I didn’t put too much work into the fit. 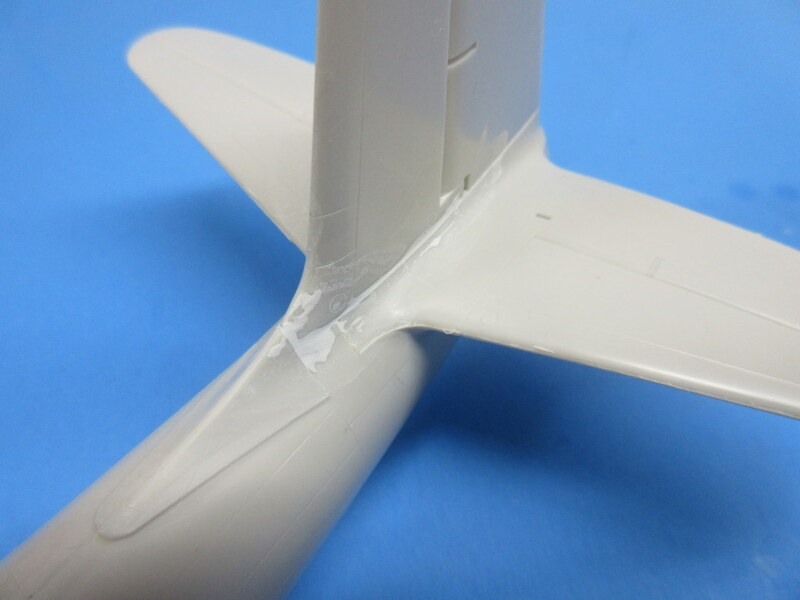 The place the rear rotor attaches also looks like it had something wrong with the molding. 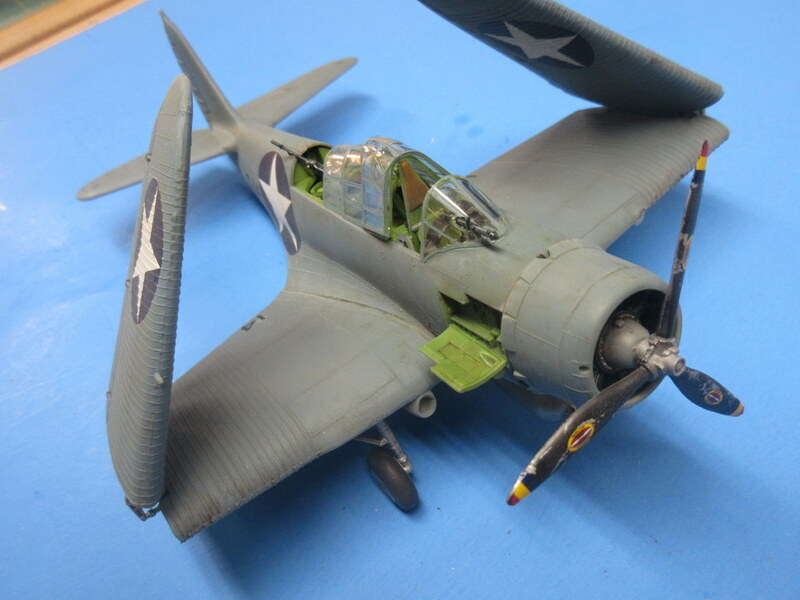 After assembling the kit it was sprayed with my favorite lacquer primer from the can which produces a dark grey finish. 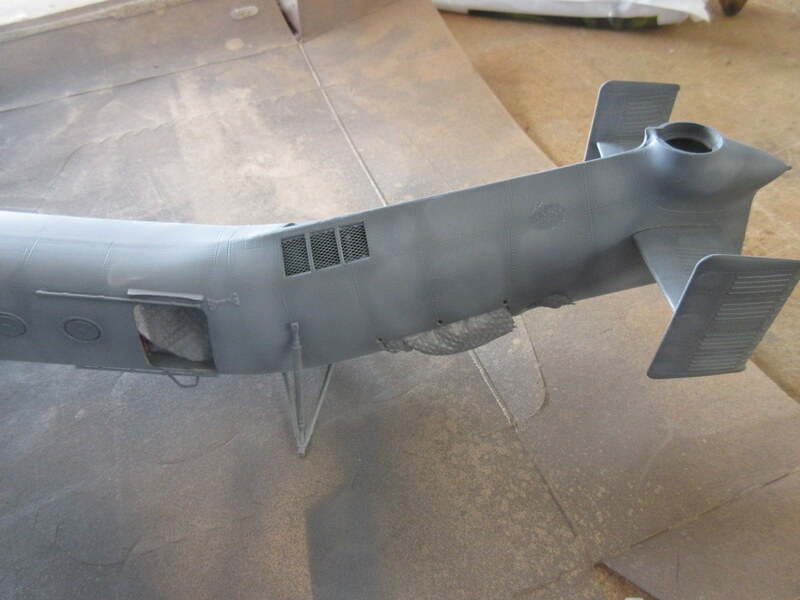 To try something different I then took some thinned Vallejo white primer and pre-highlighted sections of the kit. 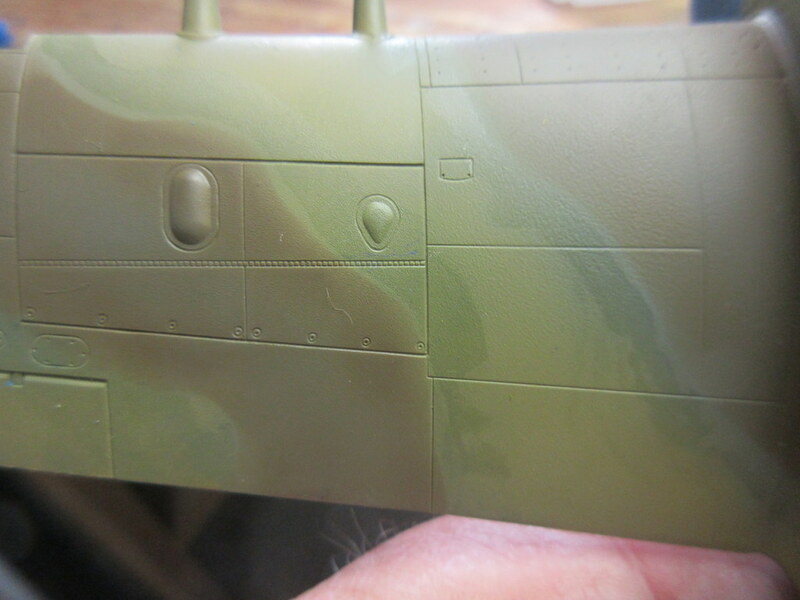 I then sprayed the kit Vallejo Russian Green (it looked the best to me for a 50’s Army color) and you can see the results of the pre-shading worked pretty well. 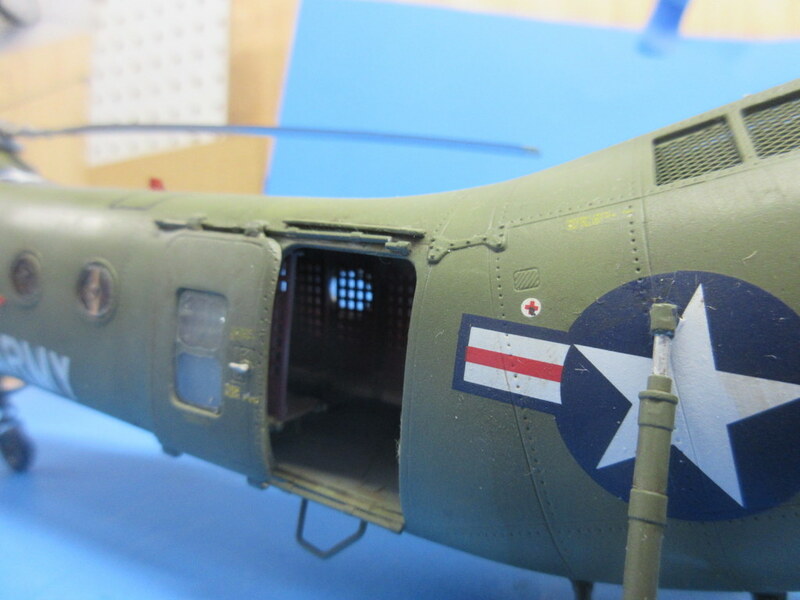 The decals went on great over a coat of Future and settled down very well to Solvaset. 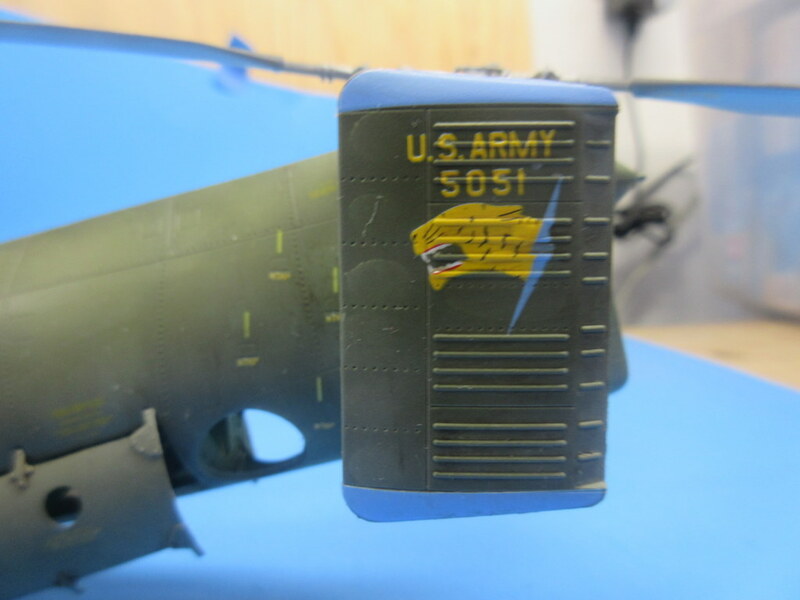 I put most of the stencils on as the yellow just looked right on Olive Drab. 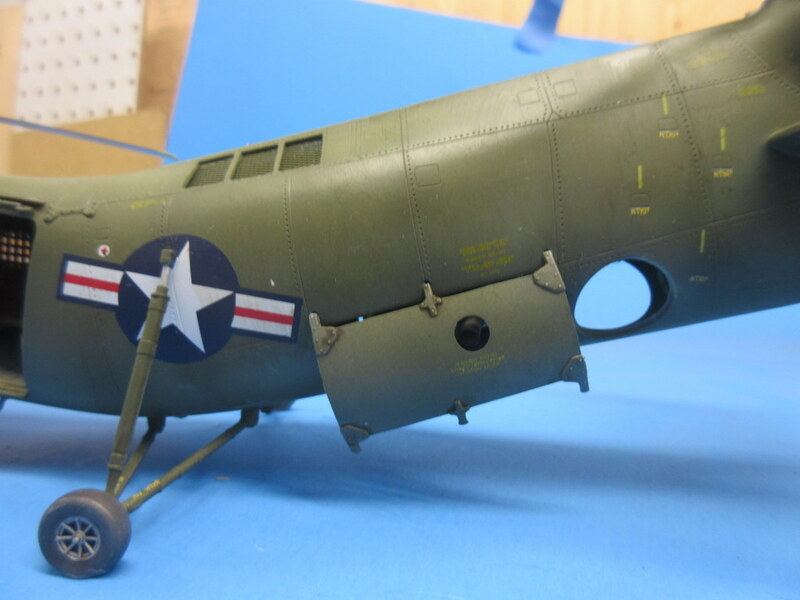 I had to cut the main stars and bars as I put the rear landing gear on first to paint them with the kit but the S&B go on under the rear gear mounts. Oops! 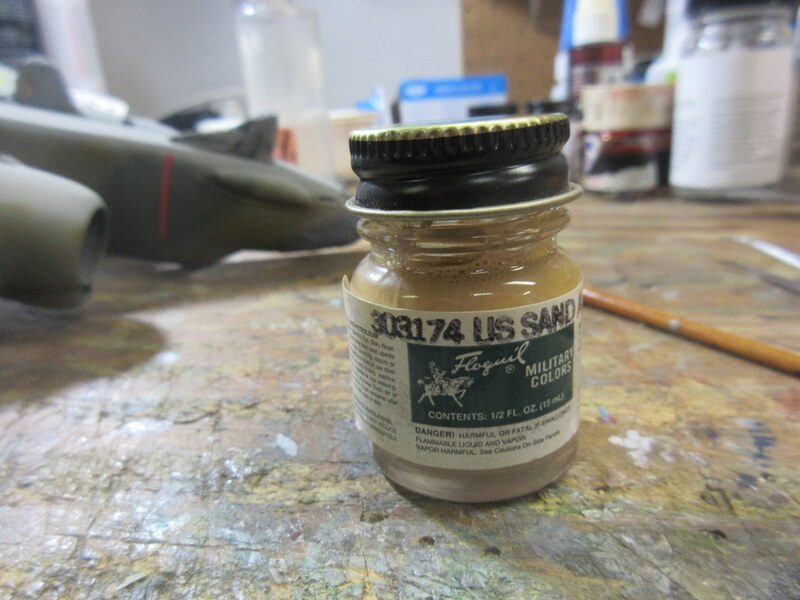 A raw umber overall wash and when dried a coat of Testors Dullcoat to finish her off! One other warning. I broke four of the six rotors. They are very fragile. Managed to drill them out and add brass tubing to support but handle with care. 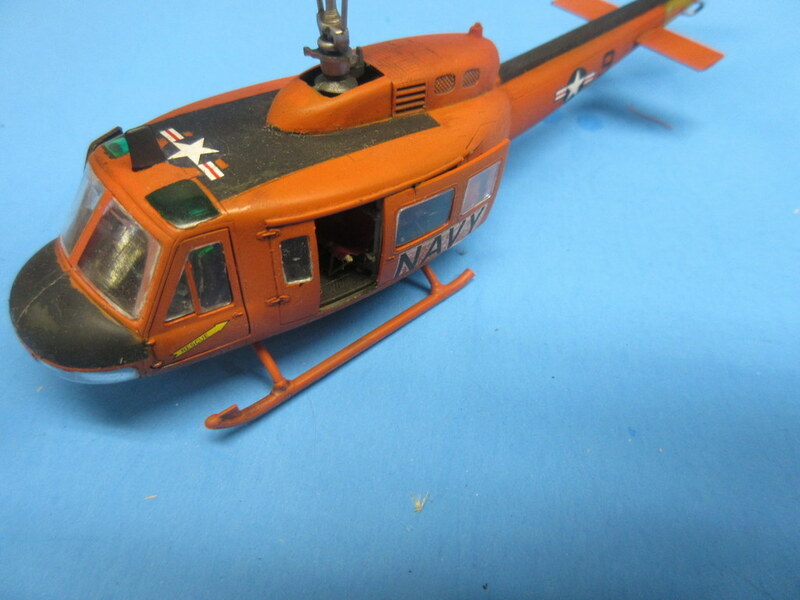 Fun to finally add a 1/48 chopper to my collection, one that I used to see at the airshows at Lowery AFB in Denver growing up! 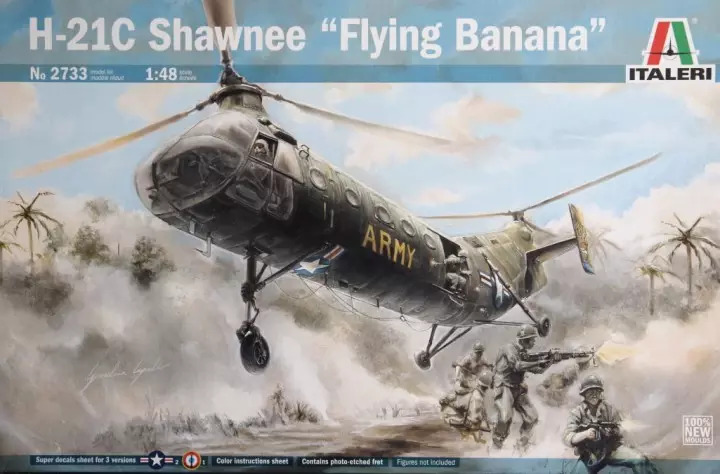 The Flying Banana. Yet another heavier than air machine from my youth. I used to think that the twin rotors were so cool compared to the other helicopters of the day. I am building this out of the box. The kit, although well designed, is simple. Italeri has provided a few perks like photo etch seatbelts and some grating and engine bay details but generally, the overall insides are simple. Given all the space exposed, there is a real opportunity for making a really cool super-detailed model of this kit but that’s not in the cards for me for this one. There are other kits to get to. 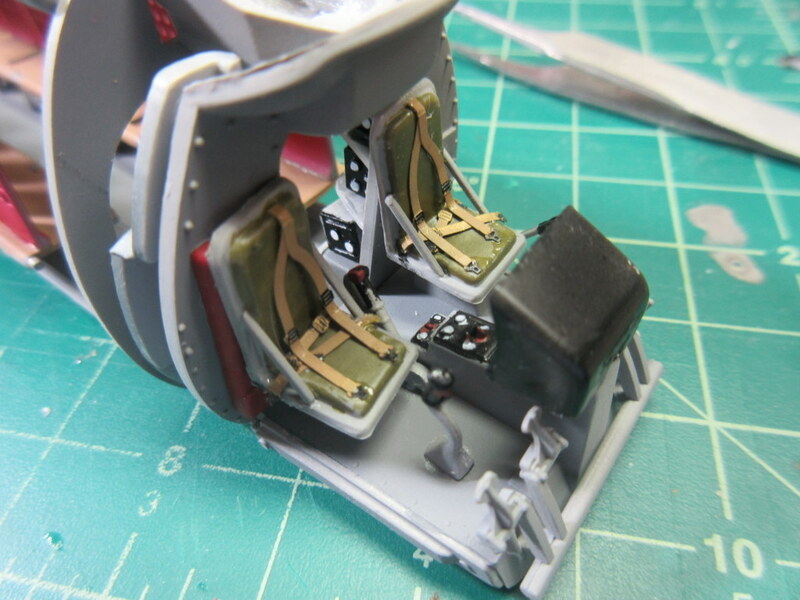 The cockpit and insides build up pretty quickly after some painting. There is a boatload of ejector pin towers and recesses that would need to be dealt with to make this a super kit. 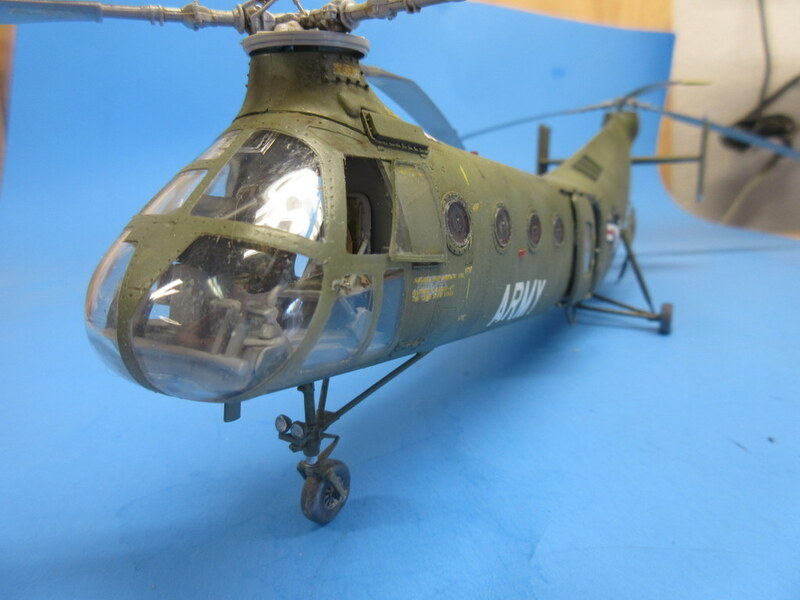 The engine compartment is also visible on the real aircraft so Italeri provides a rudimentary engine and bulkheads for the rear of the helicopter including a grating on the top and doors that can be positioned open on the bottom. 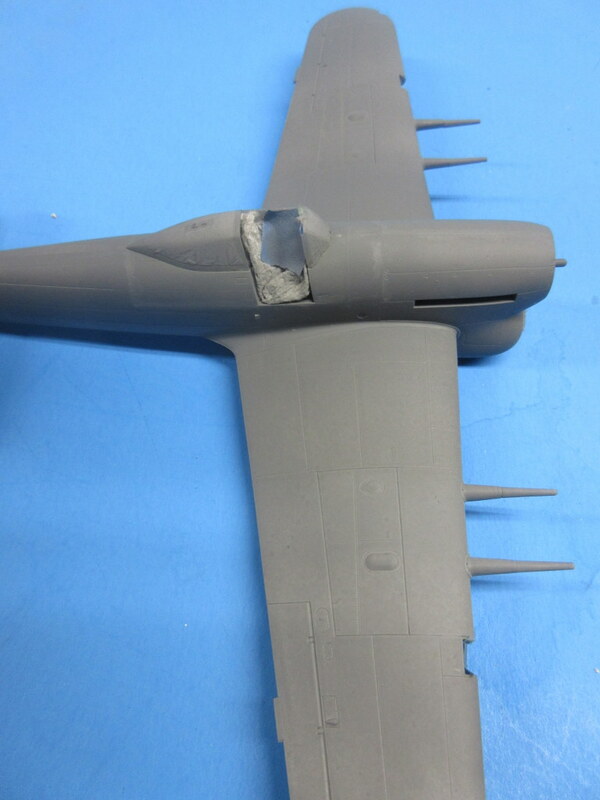 Again, a canvas for the AMS modeler. 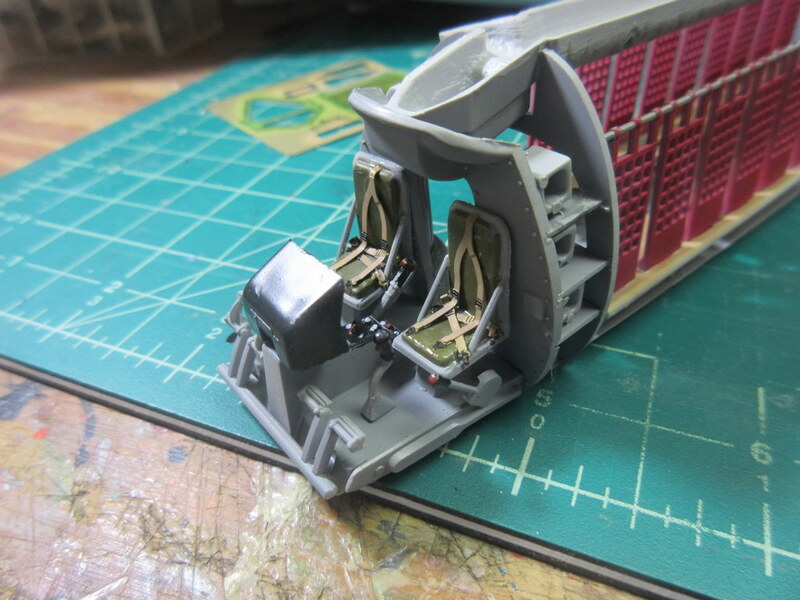 Here is the interior mostly put together. 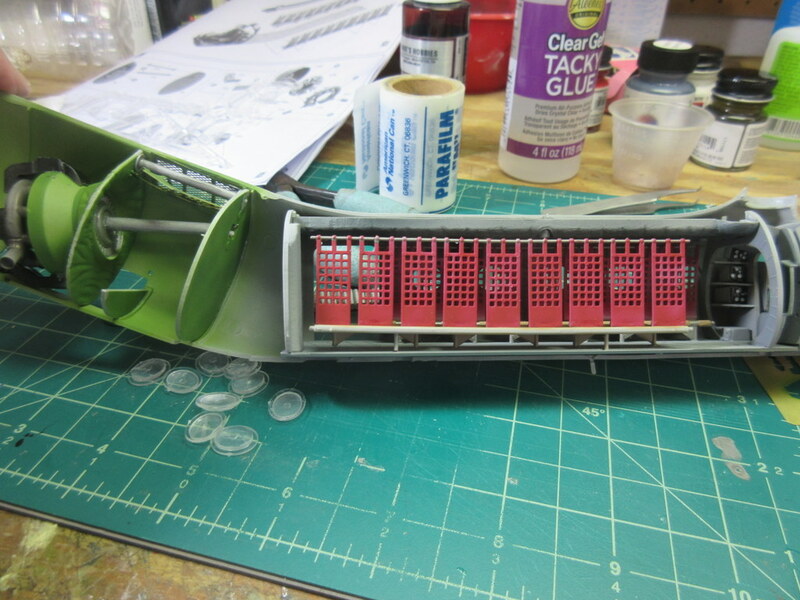 Before I can put the interior together I need to put the 9 oval windows in from the inside and I want them masked. I tried first to put a piece of masking tape over the hole where the windows go and then cut out the mask shape but the results are too jagged. 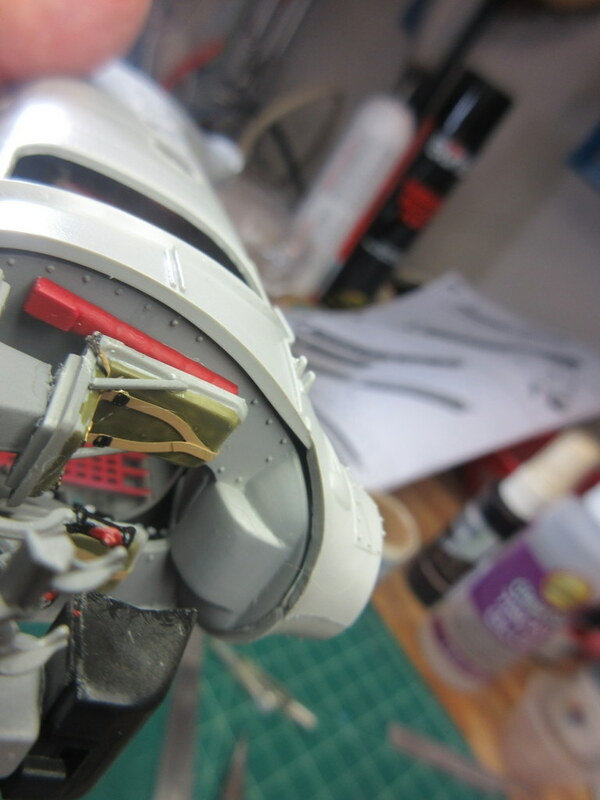 Instead, I use my favorite window masking agent, Parafilm. Cut a small piece of Parafilm, stretch it out, apply it to the window then carefully trim off the excess. 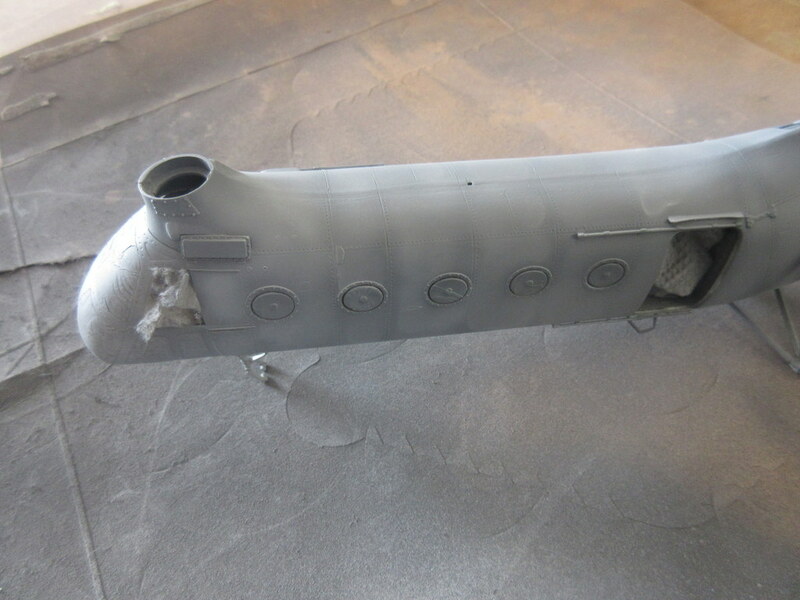 I will then mount the windows and after painting the Parafilm will just peel off. It’s magical! Next up, sealing her up! 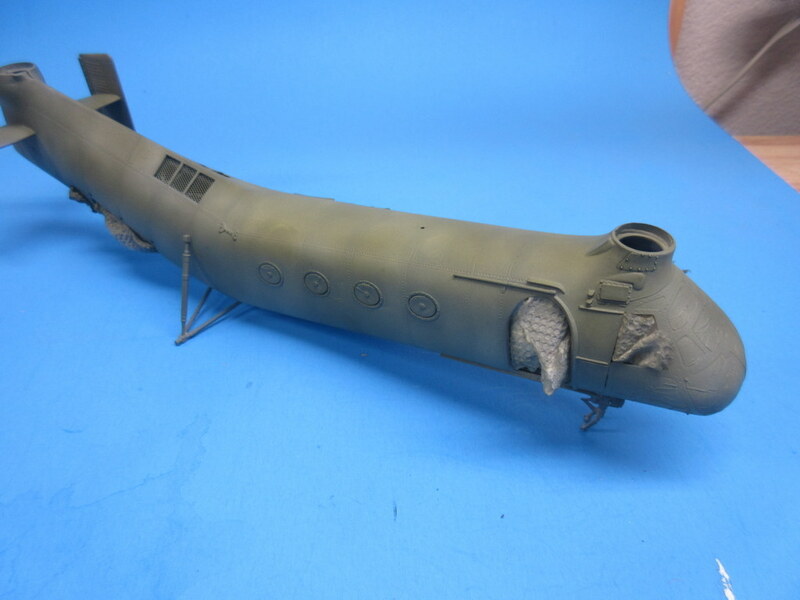 In conjunction with the Typhoon (previous post), I have been working on painting a desert A-20 Havoc. 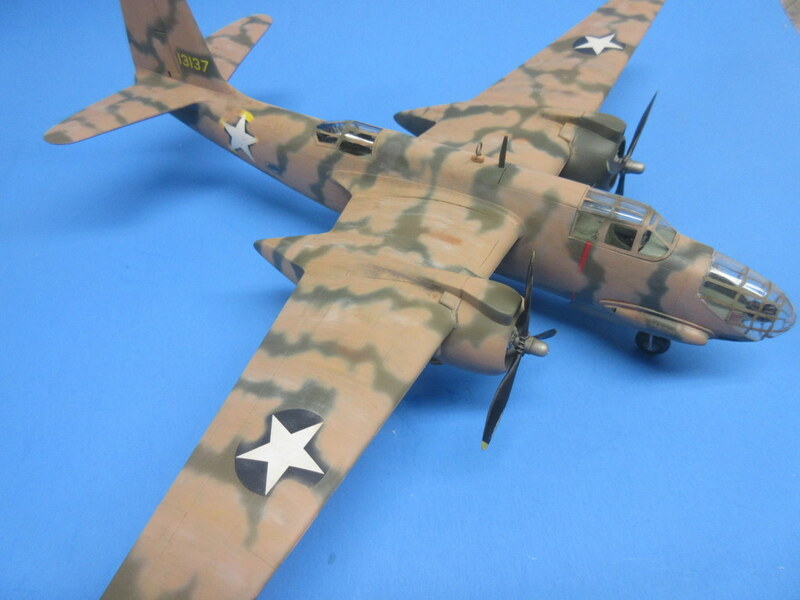 The camouflage and markings are what I once heard called reverse lend-lease. 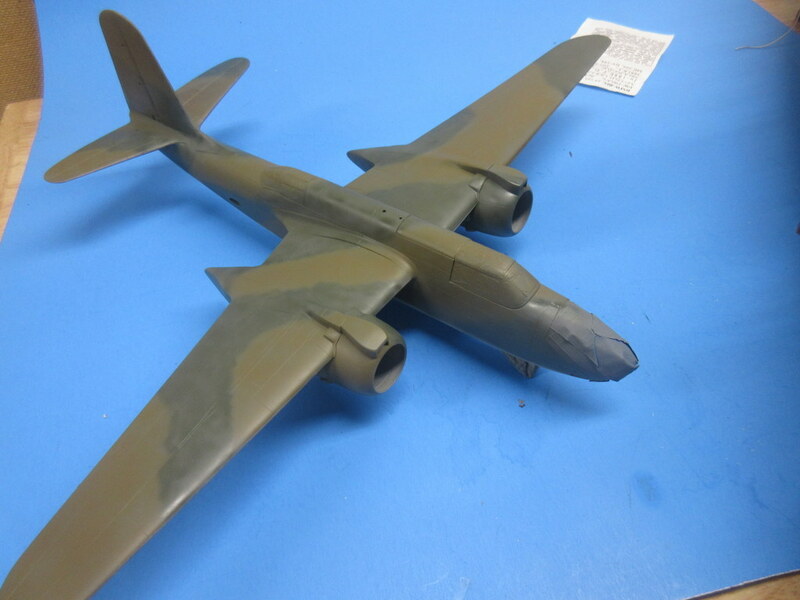 When the US got into the war we took back a few of the A-20s we gave to the British. 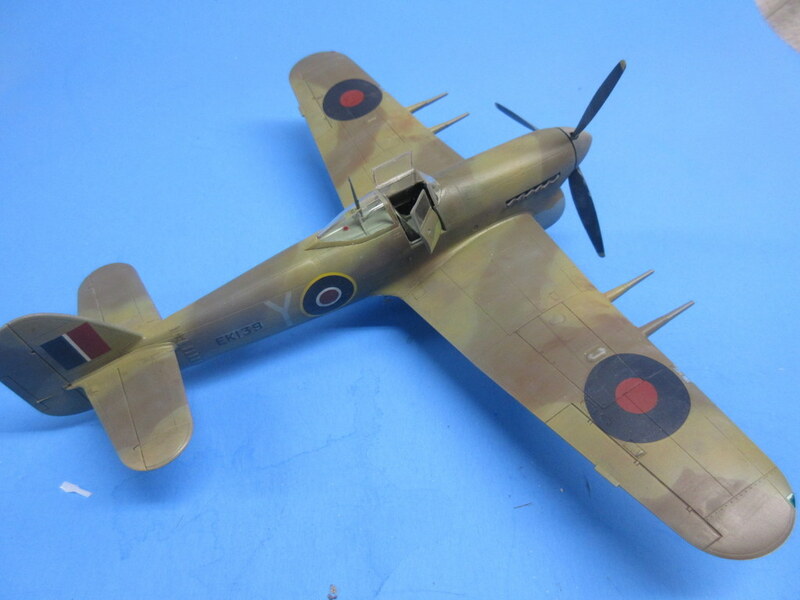 The camo starts with the standard British Euro bomber colors. 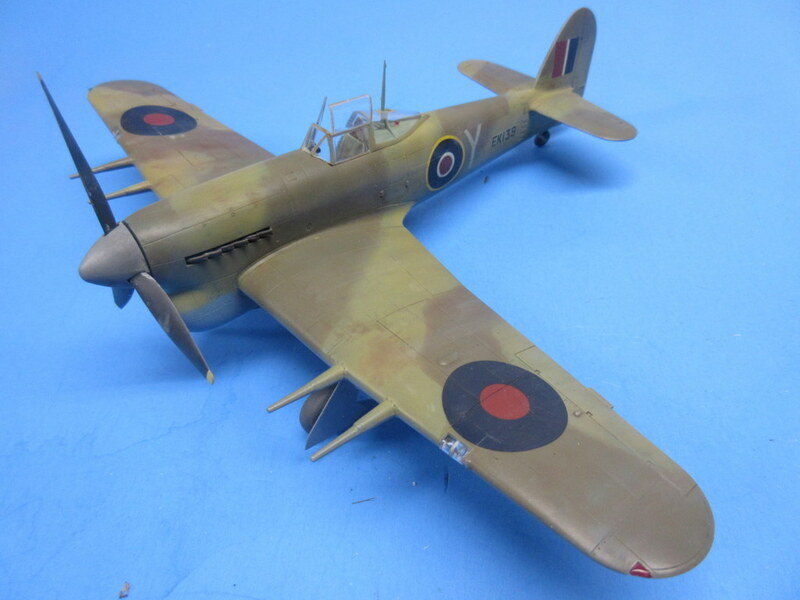 This is in contrast to the normal British desert colors used on the Typhoon in the previous post. 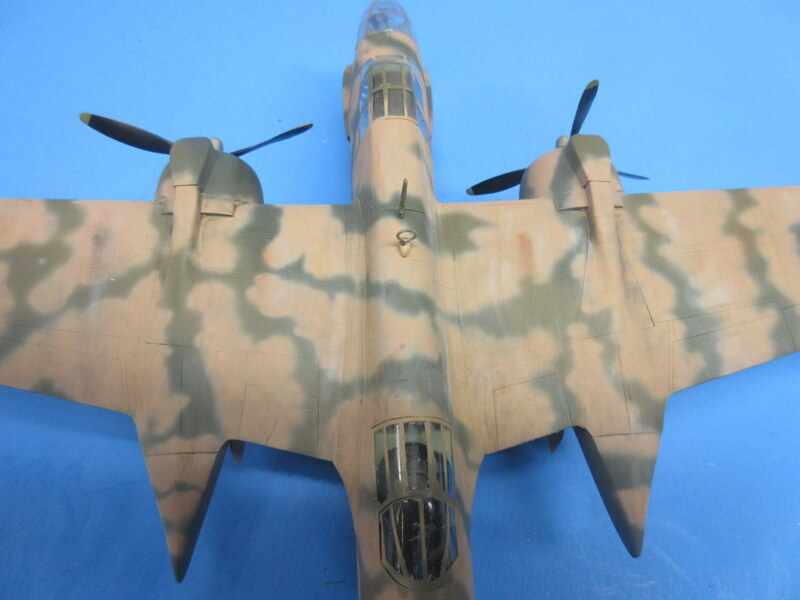 Instead of Middle Stone / Dark Earth / Azure used on the desert aircraft, the initial colors are Dark Green / Dark Earth / Medium Sea Gray. 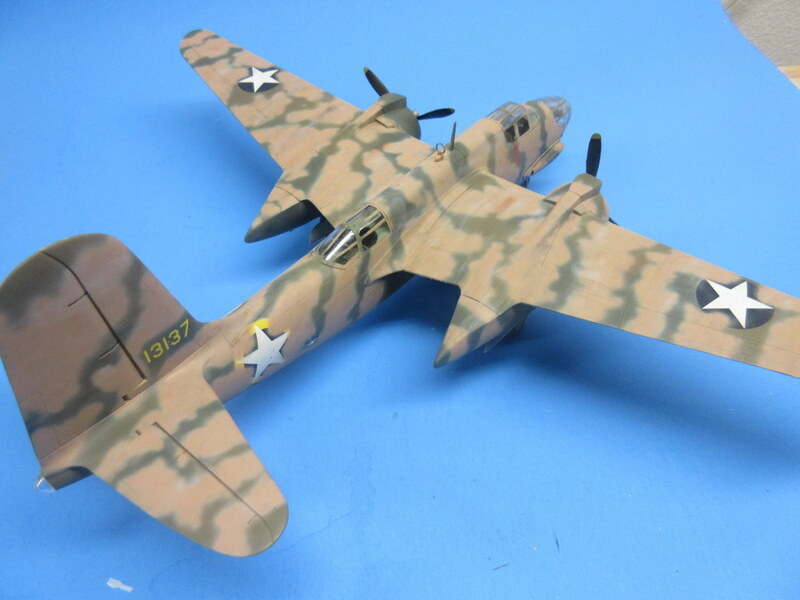 When the US took back the A-20s for use in the desert they quickly applied their markings and did a hurry-up camo job to get it desert ready. The decals from FCM (48051) represent the British marking with US stars and serial numbers painted over the British roundels. 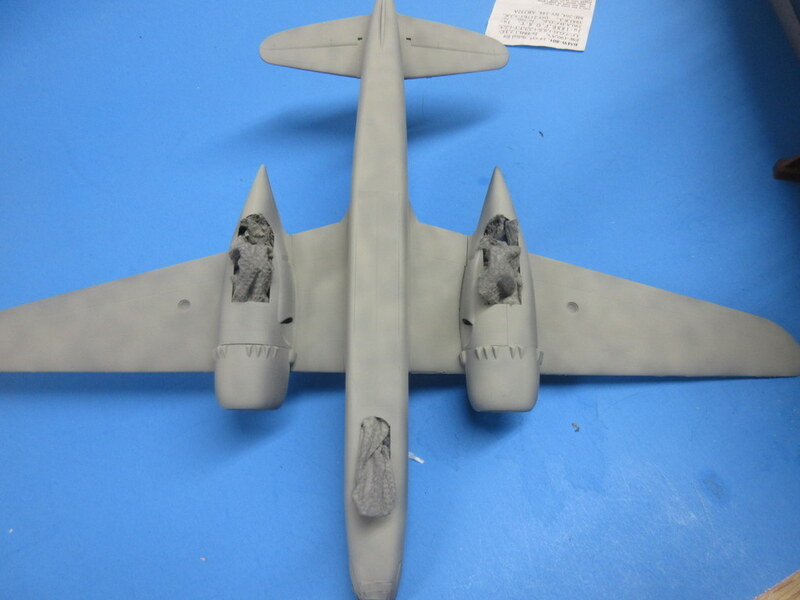 The US then oversprayed the whole aircraft with desert sand including parts of the roundels. 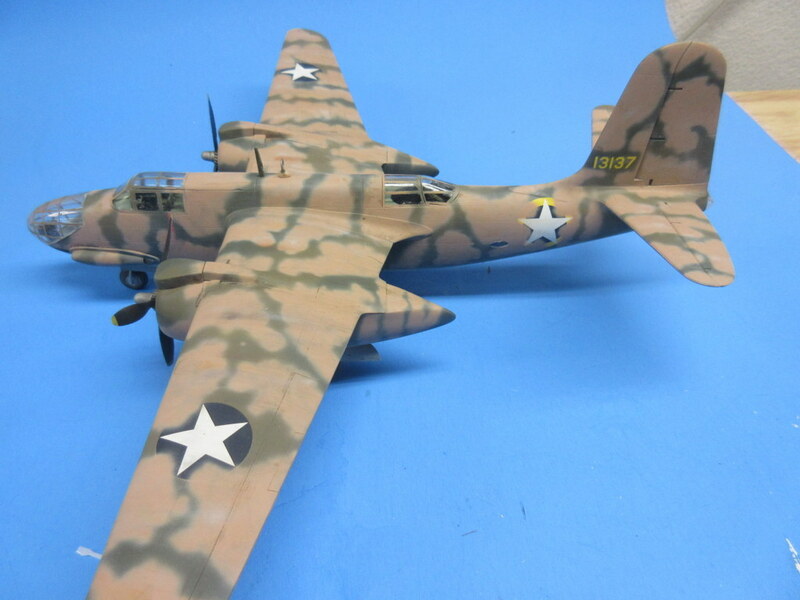 The markings represent the markings on the old Revell 1/72 A-20 and I have been waiting to do this in 1/48 for a long time. I’m glad FCM created the decals as I was prepared to roll my own and I have even had a jar of desert pink on hand that was never opened until now. 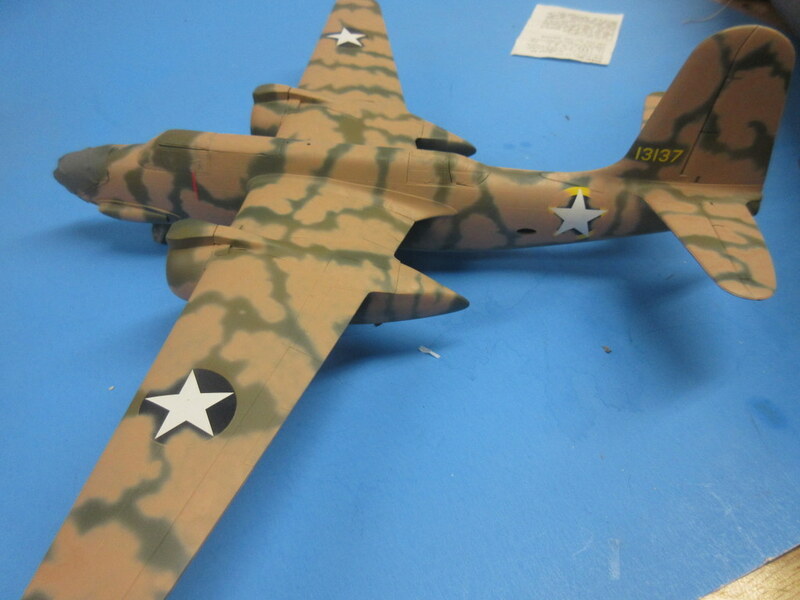 I spent a couple of hours this afternoon overspraying the A-20. 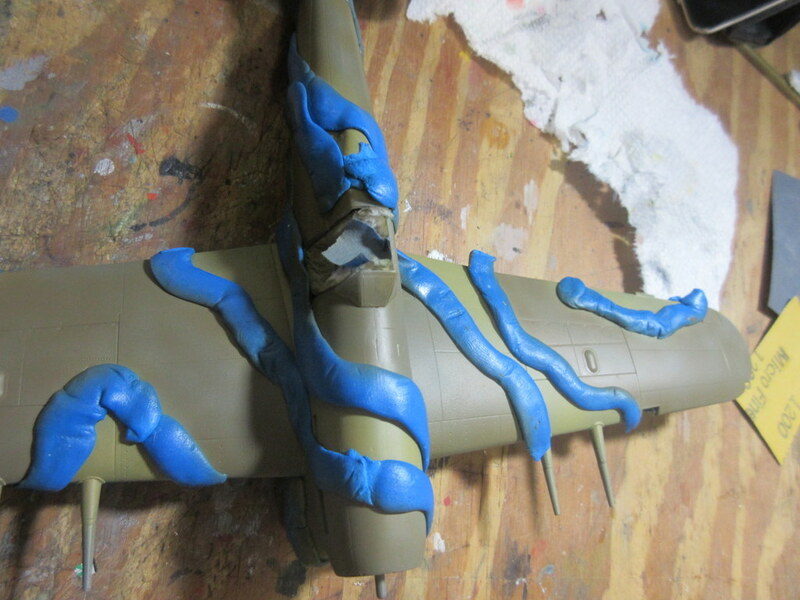 After it dries we will be onto a coat of future and weathering. 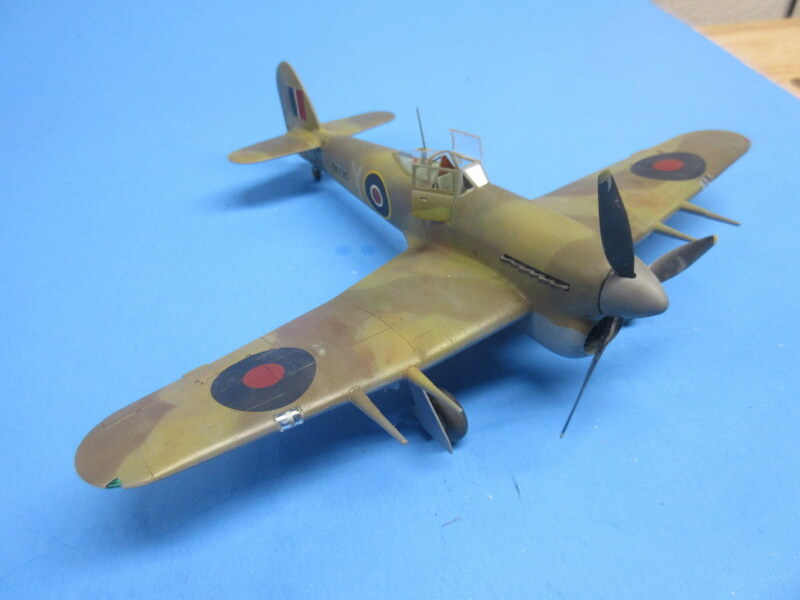 I finished painting the Typhoon. I’ve been trying to push the end of the year builds so anything that might show up under the tree can be fair game to get started. I used a combination of things I haven’t tried before; Blu-tack for masking the color boundaries and Vallejo Model Air paint. 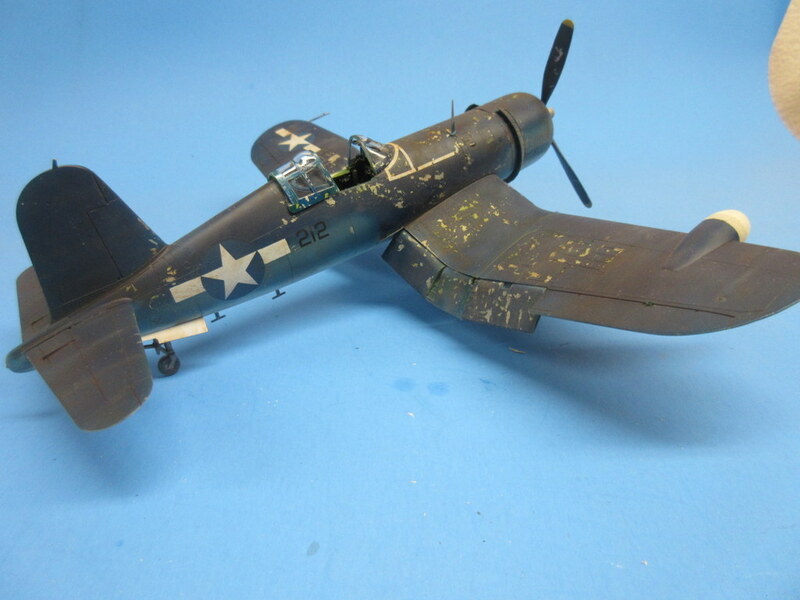 After fiddling around with it I found good old mineral spirits were able to take the residue away but also removed a small amount of paint which showed through to primer where the paint was thin. As a good side effect (which I’ll remember) is rubbing down the Vallejo paint job with mineral spirits gave it a nice faded look. I might use this as a weathering step in the future. The kit is now ready for a shot of future and decals. 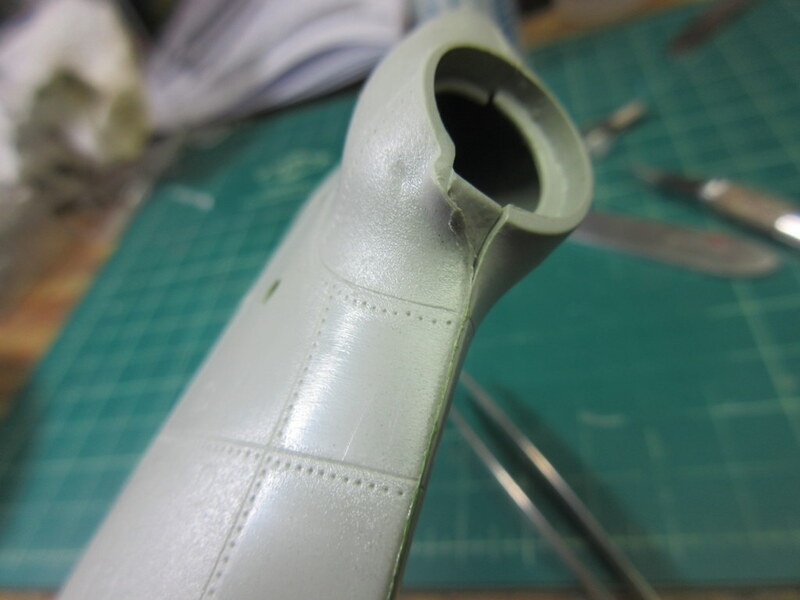 The Typhoon required very little seam sanding. I really enjoy those shake and bake kits. 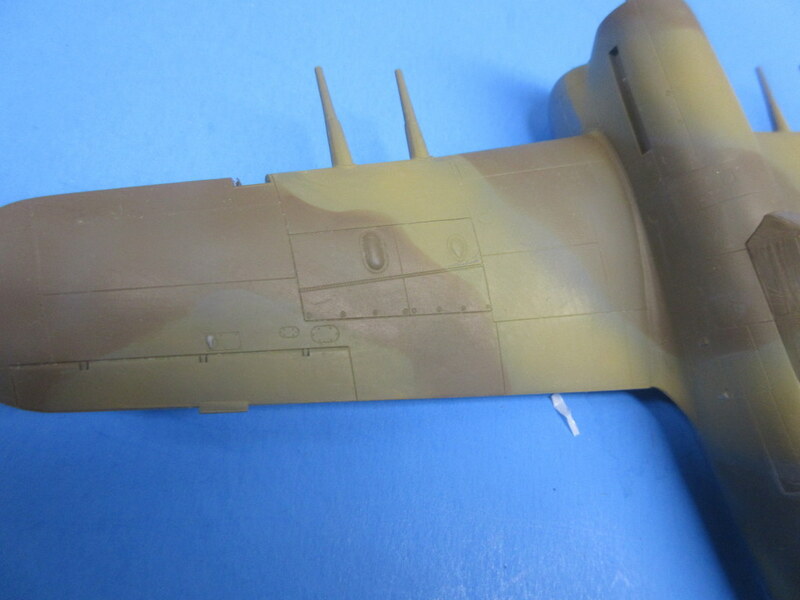 I put the primer in and I have started painting (more on that in next posts). 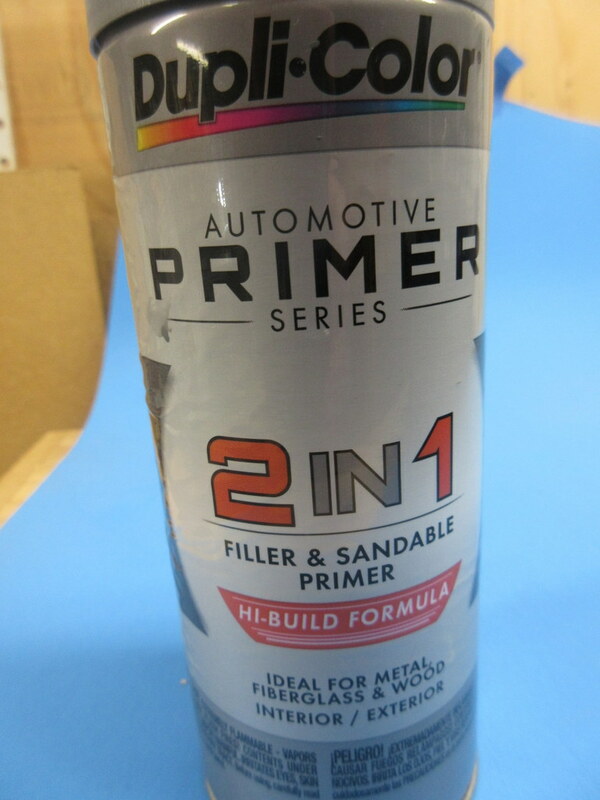 I have been using Dupli-color automotive primer. 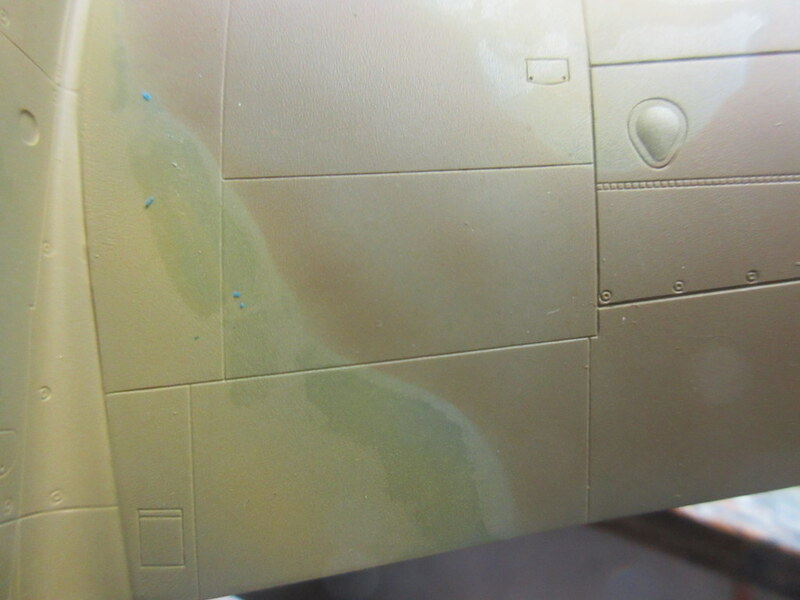 Normally I decant it (spray it into a cup) then use my airbrush. Sometimes this process results in the primer going on way to dry and grainy and in the last set of kits I built this required additional sanding to take out the graininess. This time I decided what the heck I’ll just spray the primer on straight from the can and Wow! what a nice coat. 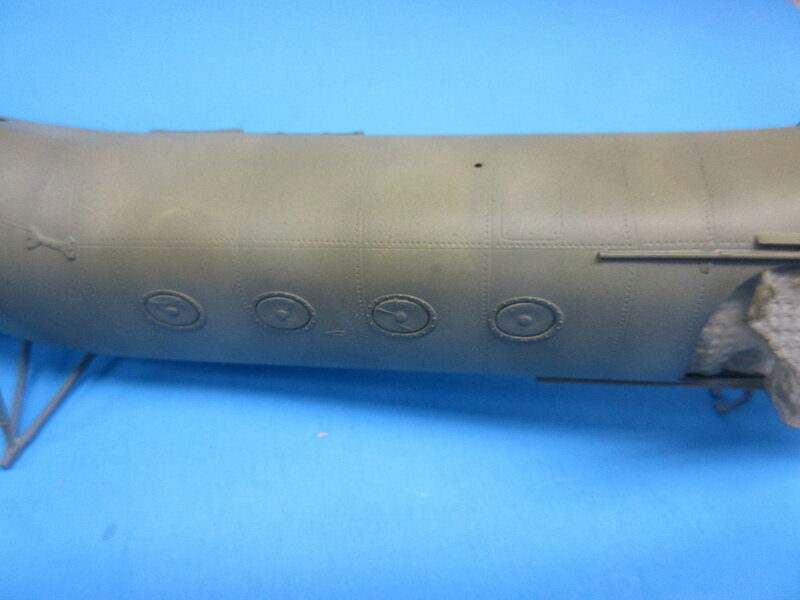 Goes on thin and dries very smooth – just waiting for paint. No need for sanding this time. Next, me, Mr. Iwata, and Mr. Vallejo get together for some color! 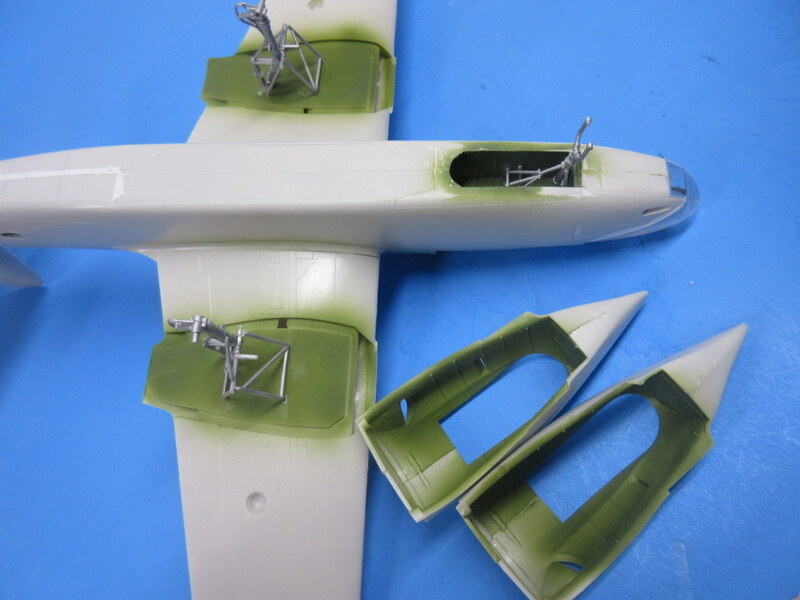 In order to get the nose section to fit the rear section, I needed to glue each respective nose piece to its side of the fuselage. 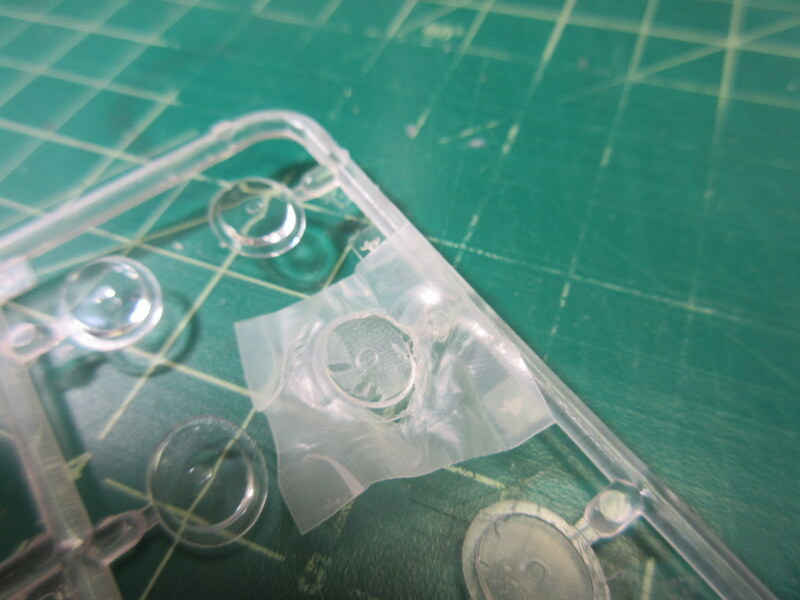 This allows you to align the parts together. 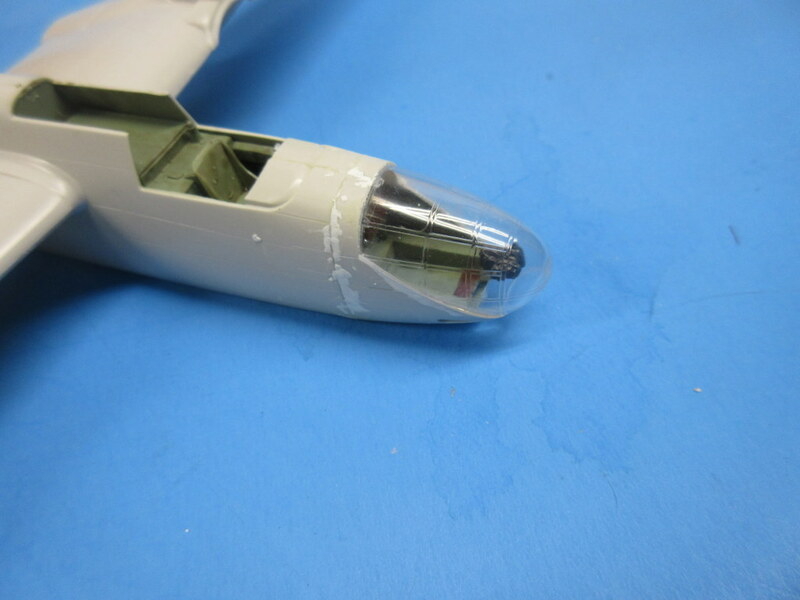 The trade-off is that the nose section no longer closes completely and the transparency on the front which cements to the nose section is suddenly not wide enough. Using a medical clamp I had to squeeze the nose section just ever so slightly and then cemented the canopy on and it mostly fit. 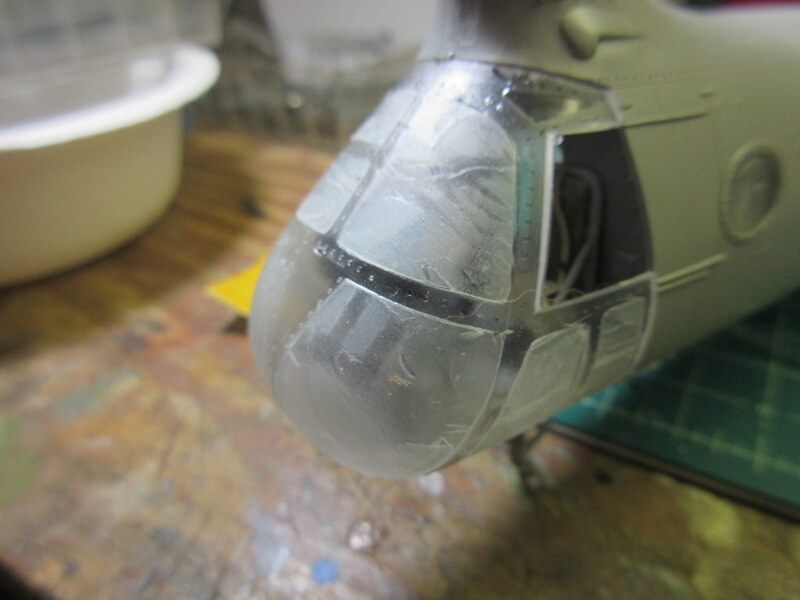 I use Milliput medium grade putty. 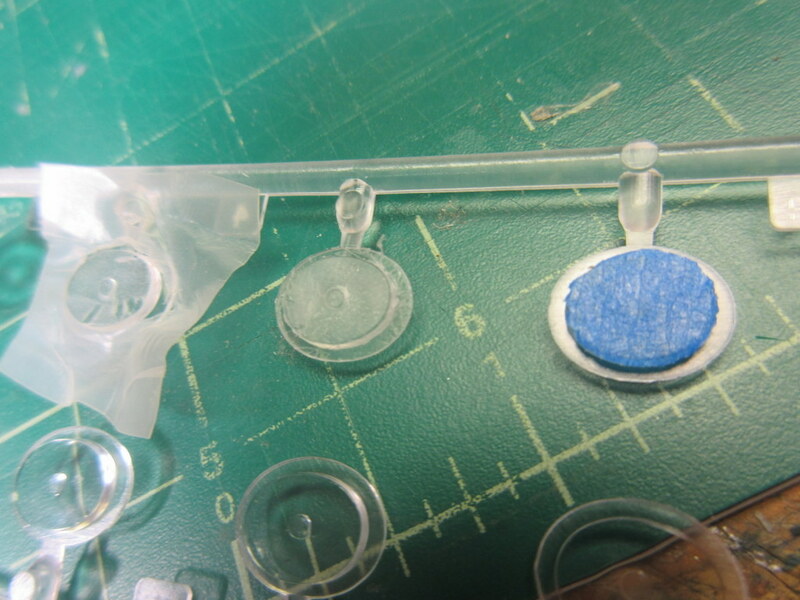 Mix the two pieces together, apply, take a cotton swab with water and smooth it out, and some light sanding at the end. 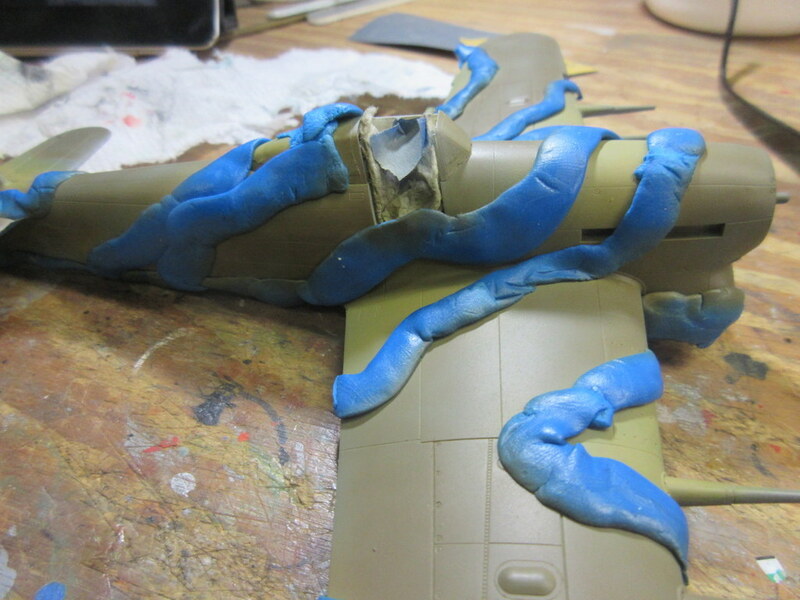 The application with the cotton swab has made it very easy to get the putty into the places it needs to be without having to do a lot of sanding later. If you look at where the vertical joins the horizontal in this picture you can see a light bit of putty pressed in and smoothed over with a cotton swab. Finally had to put the gear together before I could add the nacelles which will require some masking over the gear when painting. 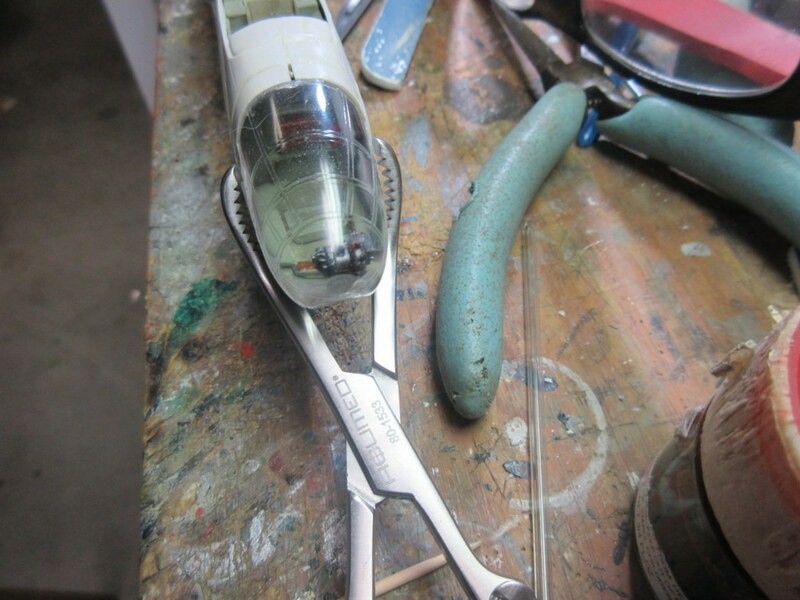 The gear is very intricate and looks nice once the nacelles are on. 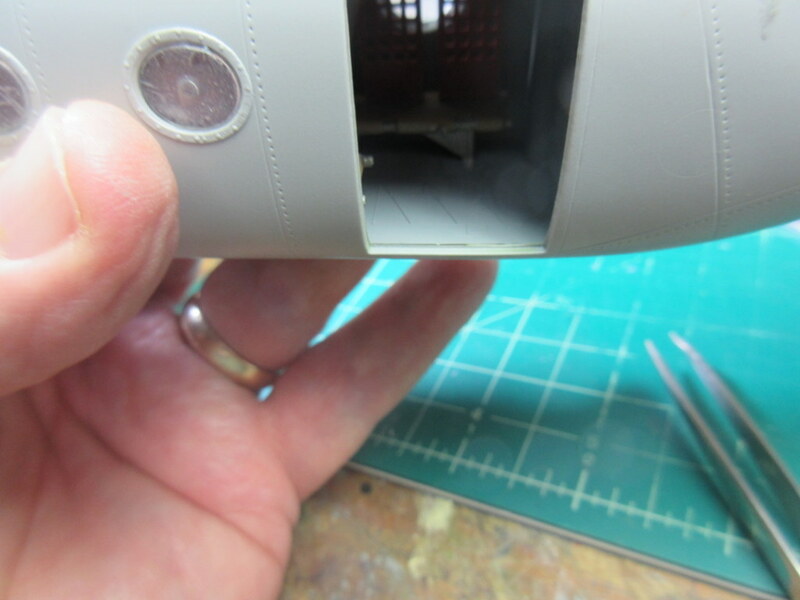 There isn’t much else inside the nacelles unless you want to pop for Eduards A-20 interior set. Next lots of transparency masking.